M R Gardens: Taking Leaves! 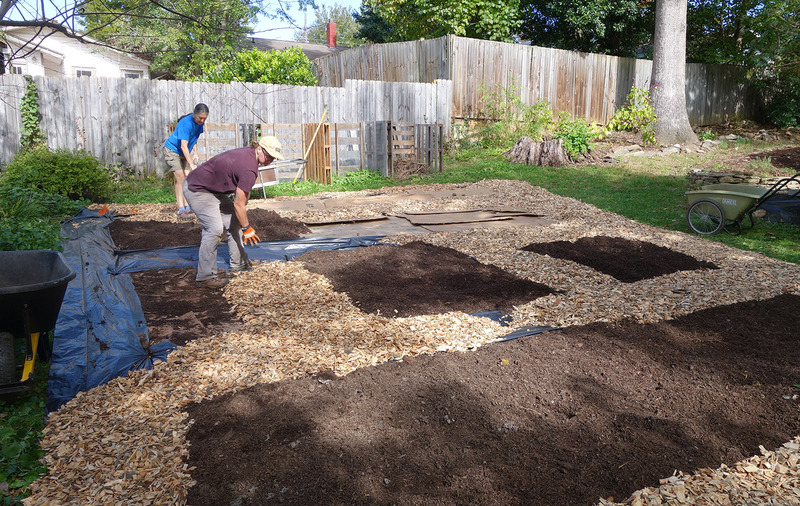 Every fall M R Gardens accepts neighbors' leaves, which we turn into new vegetable beds or incorporate into our composting. The public is welcome to place filled bags by the sign at the farm entrance. 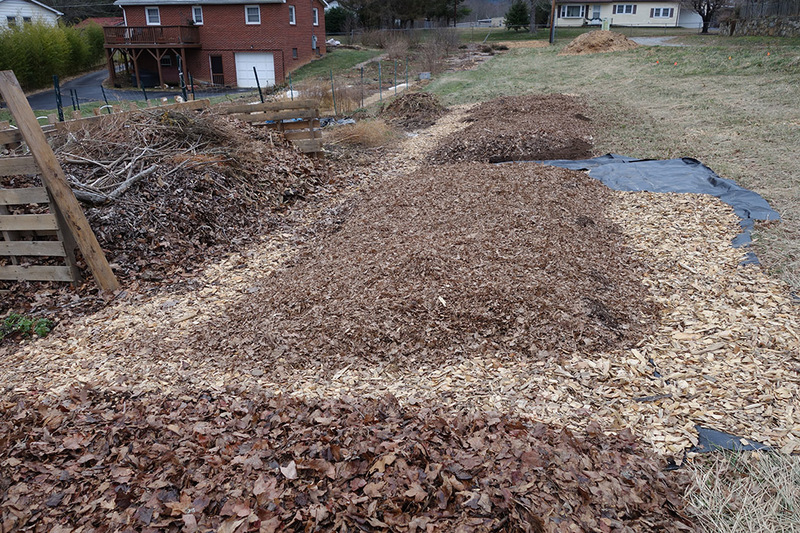 Mulched leaves are preferred, but we'll take them whole as well. "considers leaves 'the most essential amendment that I add to the garden.' 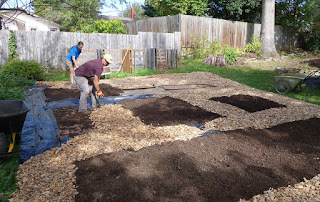 She tries to keep her vegetable garden covered with leaves or other types of organic matter throughout the year, except when beds have been recently planted. 'It’s the same in nature,' she points out. 'You would never walk in the forest and see bare ground unless it’s been disturbed. 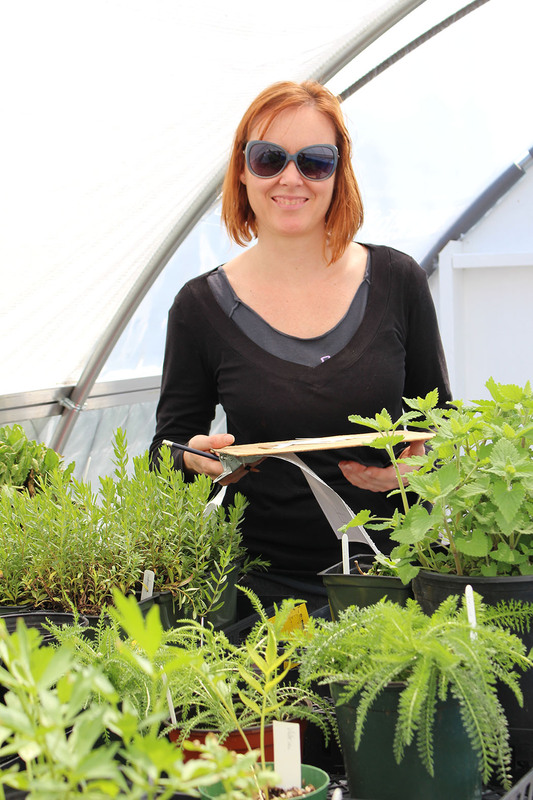 Organic matter is continually decomposing into nutrients for new life.'" Helping our client in West Asheville establish new vegetable gardens. 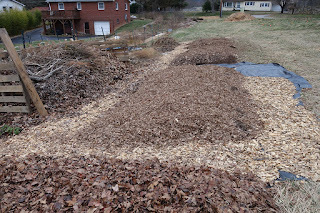 Leaves are the final layer on top of mushroom compost and cardboard to create the new beds. Read more about our Microbe Rich method, and let us know how we can help you in your new endeavors!